Just Talk About It... Please! Death of your spouse is not a pleasant thought after years of marriage, but death happens... it is inevitable at some point in life. Why not talk about the financial aspects of death of a spouse, now, rather than leave it out there as an unspeakable unknown? Why leave it unspoken so that if something happens, the living spouse is left full of stress (that didn't have to happen)? Isn't it better to think ahead of the possibilities rather than to be stuck with no answers and no time to consider your options? Death: It's easier to NOT talk about it.. Many years ago, a man was on a transplant list but still working. He came into my office, faithfully, to check on his retirement benefit and assure himself that his wife would receive his pension and health care IF anything happened to him. He died... and the wife came into my office to do paperwork. Oddly enough, he had never shared his retirement information with her. My guess is that it's simply to difficult too discuss when you are ill, so he figured it was better left unsaid. But IMAGINE her stress levels at having no idea, whatsoever, if there was a pension, health care, life insurances, any income at all! She lived in this anxiety-ridden state for a few years (during his illness) and during the funeral, before she inquired and knew she was more than ok. I think that's just plain sad... it's too hard to talk about even the possibility of death of a spouse, so you don't touch the subject at all? Please discuss financial and end-of-life issues with your significant other... give them the greatest gift of Peace. As you'd guess, the chance of woman being widowed is far greater than with men. Many women often have 20 years of living alone after a spouses death. Men are more likely to remarry -- that's logical as women take care of their needs with cooking/cleaning, etc. and there are lots of us to choose from! Death of a spouse is probably the most stressful event that can ever happen to you. If you fall into a depression or feel guilt, shock, anger, all the negative emotions you'd expect with a death, please seek help! There are many community organizations ready to help you through the grieving process, and your local church can help you too. Consider joining a Grief Survivors group as there are others like you, right in your community, who are experiencing the same sadness... share with others and help pull yourself through this crisis in life. 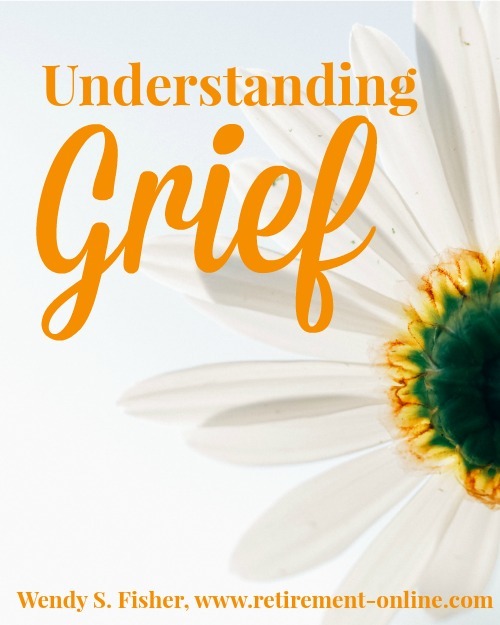 AARP website which has lots of info on Grief and Loss. Any Experiences with Death of a Spouse to share? Husbands Death: A Memorable experience that is still with us. 13th Anniversary on 14th of Feb.